Screen shot from above video clips. Just by chance I added this series to my Prime watchlist last week. That makes me an initiate. Is watching tv an introduction into the Mysteries? B (100) Knights Templar Illuminated Letters http://www.knightstemplarorder.orgBeing a diverse tradition which is authentically interfaith and non-denominational, the practice of Templar spirituality cannot be directly taught as if one single thing, nor in only one particular way. Timeless knowledge of the ancient sacred wisdom of esoteric mysticism and the sacred sciences cannot be simply delivered as if a product, nor provided as if a service. Rather, the meaningful experience of spiritual traditions must come from a personal choice to seek a connection with universal Source, motivated by a higher sense of purpose, and guided by Spirit. In this way, Templar spirituality is an individual path, which is actively pursued by the seeker as a way of life. The Templar Order provides a wealth of ancient knowledge of esoteric teachings and sacred wisdom, as an integral part of the overall traditions and diverse body of knowledge. Elements of Templar spirituality are included throughout all of the Templar Skills Training Program materials, even those of seemingly unrelated topics. The Order shares these materials fully and equally with all of its members, without any artificial levels or degrees. All Templars thus learn everything that Templars should know, as fast as they desire to read the materials. To experience the practice of Templar spirituality as a path, members are encouraged to choose the tradition which is best suited to one’s own cultural and personal preferences. Empowered by knowledge and understanding from the Skills Training materials, one should then actively engage with a spiritual teacher within one’s chosen path, who may or may not be a member of the Templar Order. For this purpose, many Templars choose to study Hermetic Mysteries with the Theosophical Society, Gnostic Mysteries with the Rosicrucian Order (AMORC), Kriya Yoga with Self Realization Fellowship (SRF), or Sufi Mysticism with the Sufi Inayati Order, participating in related meditation groups or spiritual retreat activities. Some Templars discover local private meditation groups with experienced teachers, through meeting people in New Age bookstores. Alternately, upon request, the Grand Mastery will be pleased to introduce a member to senior officers of the Order who have lifetimes of experience in disciplined meditation, energy work, and mentorship teaching the arts and sciences of authentic Templar spirituality. 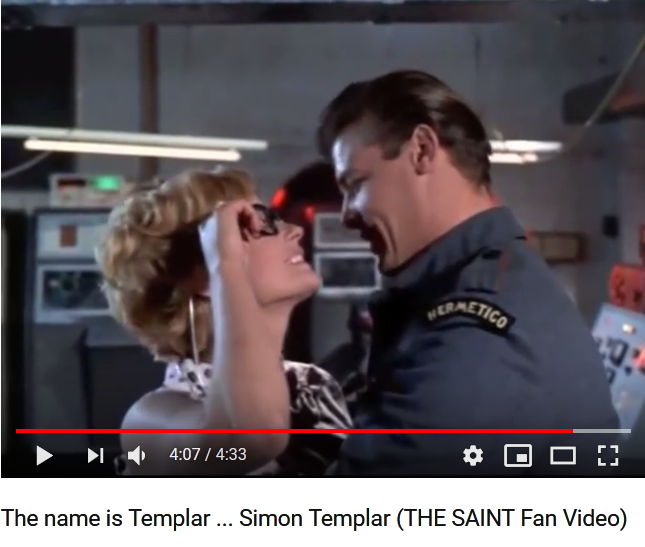 BTW Simon Templar is James Moore. That's right, the young James Bond Moore.